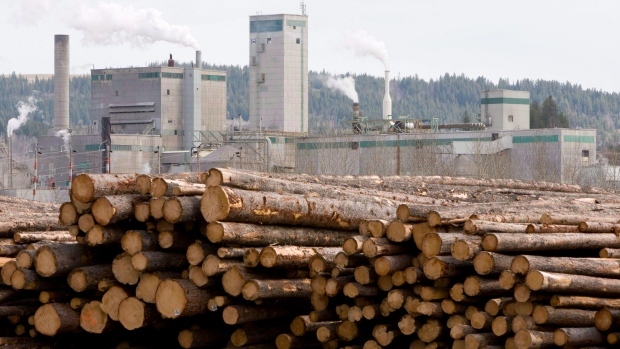 West Fraser Timber Co. Ltd. says it plans to temporarily curtail lumber production over the holiday period at four of its British Columbia sawmills. The Vancouver-based company says operations in Chasm, 100 Mile House, Williams Lake and Chetwynd are affected. CEO Ted Seraphim says the decision was required because of "challenging lumber markets and high log costs coupled with log supply constraints." The curtailments are expected to reduce spruce pine fir (SPF) lumber production by about 25 million board feet in 2018. It wasn't immediately known how many employees are affected by the curtailments. The move comes a few weeks after West Fraser said it will permanently curtail about 300 million board feet of lumber production next year at two mills, affecting 135 employees. The industry has faced mountain pine beetle infestations, U.S. import tariffs and falling lumber prices. Conifex Timber Inc., and Canfor Corp have also announced temporary curtailments in B.C.